It could be argued that none of us know anything. “Am I a man who dreamed he was a butterfly or a butterfly who is dreaming he is a man?” Scientists disprove each other all the time so we can’t rely on that to have all the answers, and the “hard problem” of how can consciousness study consciousness if it uses consciousness to study consciousness hasn’t been solved. Add to that ol Socrates quote, “the wise one is the one who knows they know nothing” and ignorance does appear to be the only realistic status. Having said all that given the choice of optimism or pessimism, at least in my own experience it does feel more “useful” to assume the best than assume the worst. But essentially either stance is delusional. But we are forced into delusion – what is the alternative? I’m just not gonna bother eating today cos I could wake up tomorrow and find out I’m a butterfly dreaming? I’m not gonna go to work today cos I could wak up in the Matrix any time? While I’m quoting people smarter than me Einstein said “time is an illusion, but a very persistent one”. Yeah, try telling that to your boss when you’re late. So yeah, the Buddhists say it’s all illusion so pick one that suits you. But apart from brief moments of lucidity, yes I agree, we are generally living in ignorance and delusion. At the risk of sounding arrogant – most people don’t think about these things and are happy to live in a world where duality and absolutes are a given. One could say that for a philosopher the ideas that “no one can predict the future” or “knows the nature of reality” aspects are very basic, and maybe yes they are to a natural born philosopher. But while I probably spent too many years wondering whether or not I was a figment of my own imagination I have had to accept that not only will many people not ponder these things, perhaps most people don’t want to. And I can’t blame them, questioning my existence didn’t make me much money or win me many friends (actually maybe it did, I’m not sure.) Even, sometimes especially, in communities that I associated with being open minded – activist communities, spiritual communities – people are really attached to “knowing”. Some people do not want to leave the cave and will get upset if you tell them there’s another world out there. Also things get lost in semantics, or the meanings of words. For example if I say I believe that whatever you believe is true for you does that mean that I believe in nothing or I believe in something? Or if I say that I believe that my name is Kevin but only to a certain extent because there are no absolutes. I could qualify that by saying I believe my name is Kevin because that’s what the people I believe to be my parents called me since I was a child but there is probably a less than one percent chance that I am adopted cos I look like my mum and maybe my birth parents had a different name for me. Also I think that’s my name but I could be a body in a hooked up to a computer simulation and my name could be test subject 2341. But someone who believes in duality and absolutes might tell you that they know what their name is. They might say I’m splitting hairs and being pedantic but I would say I am merely being factually correct as much as I can be with my limited knowledge. But if you didn’t get to read to the bottom of this paragraph I wouldn’t blame you – cos most people don’t want to consider the possibility that their world is a lie, most people are not natural born philosophers and while I don’t think I’m more intelligent than other people I do think I’m more inclined to ponder these things than most and I don’t have a right to get upset that other people don’t want to “be with their discomfort”. Why am I expressing this? I guess because it used to piss me off. Why? Because if more people questioned the nature of reality maybe more people would realise how much they’re being lied to everyday by the mainstream media, there would be less justification for war and less genocide on the planet BUT guess what – that’s just my belief. Ahhhhhhh that felt really good. 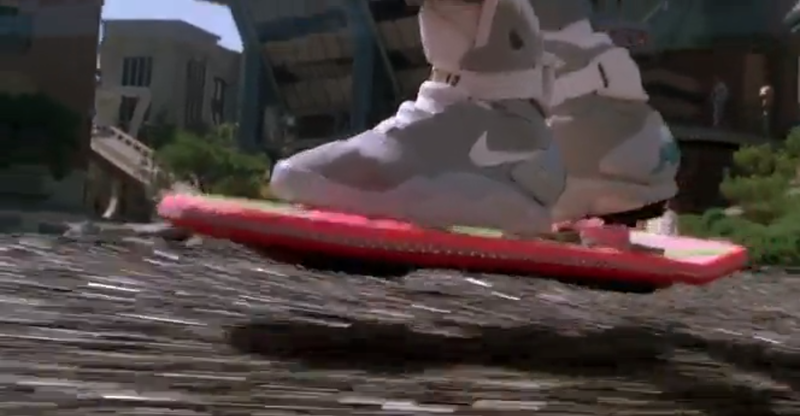 ps I believe that we shouldn’t call those mini-segways hoverboards. They don’t hover, they roll. That’s some bullsh**.